New 4.3-10 Connector PolyPhaser RF Lightning Arrestors - RFMW UK, Ltd. 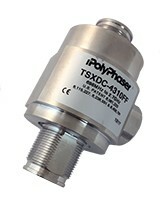 The new 4.3-10 Connector PolyPhaser RF Lightning Arrestor, TSX-4310, offered through RFMW UK, Ltd. Optimized for small cell sites, DAS systems and macro sites, utilizing 4.3-10 connectors, the new addition to the TSX Series surge arrestors feature up to a 40 kA surge rating and ultra-low PIM (-130 dBm typical). These lightning arrestors are ideal for 4G, LTE, 5G and cell bands from 698 MHz to 2.7 GHz. Please contact us at RFMW UK, Ltd. (sales@rfmw.co.uk) for further information and a quotation!